Second Warfare 2 - to destroy the terrorists and stay alive. ► You have a large selection of weapons (different pistols, machine guns, grenade launchers). ► Martial tasks can be performed on different types of technology - using a car or helicopter. 1. Training on the base. 2. The city where you were guarding the embassy captured terrorists. Walk through the city and find a place of evacuation. 3. The terrorists want to blow up oil tanks in Alaska. Destroy the terrorists. 4. Strip the territory from the rebels and destroy ballistic missiles. 5. Destroy the base of chemical weapons. ✔ Game Updates will be published regularly. ✔ We love to hear your advice and suggestions. ✔ In the future, the game will "MULTIPLAYER". ✔ Buy the game today, tomorrow more! 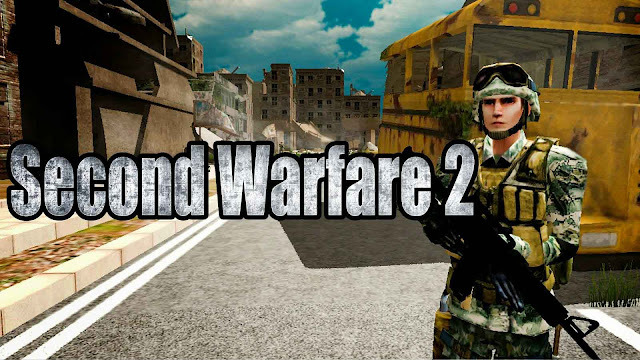 Second Warfare 2: download via Google Play!